Kwangil Textile was founded on the manufacturing of Tricot fabric. As we transition from a Tricot supplier to an advanced smart textile supplier, we purse and embrace leading edge smart fabric technology platforms. Our R&D center spearheads strategic technology roadmaps, research and development of scalable technology platform architectures and synergistic technology partnerships. In an ever and competitive landscape, Kwangil textile is commited to staying ahead of the technology curve. We are always interested in engaging new and innovative partners. If you have If you have a relevant invention, technology, product or service you’d like to discuss with us we’d like to hear from you. Smart textile technologies are gaining interest as wearable and smart devices are popular. 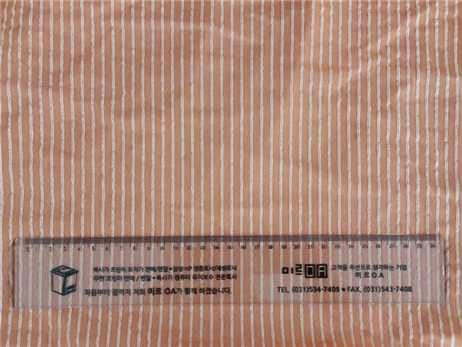 In order to satisfy novel needs of our customers, we are actively working on smart fabric technology. 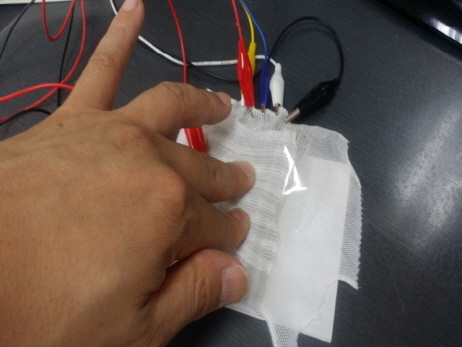 We are producing zebra conductive fabric (patent pending) and accompanying textile sensors.